Add a timeless accent to your outfit, with this classic fancy wheat bracelet, crafted in elegant 9ct gold and finished with a lobster clasp fastener. 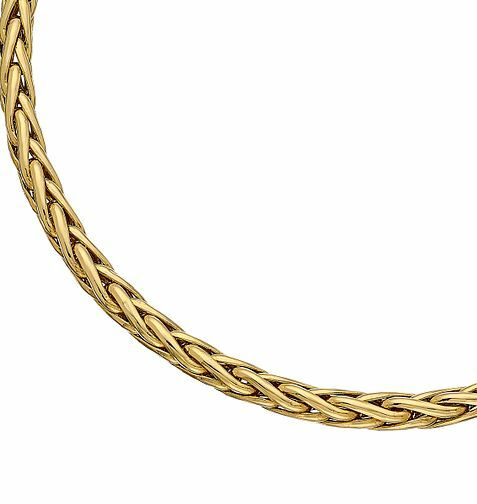 9ct Gold 7.5" Fancy Wheat Bracelet is rated 4.5 out of 5 by 4. Rated 3 out of 5 by Anonymous from This bracelet is lovely but too small a clasp ring The clasp ring is too small and therefore hard to put on my wrist on my own.